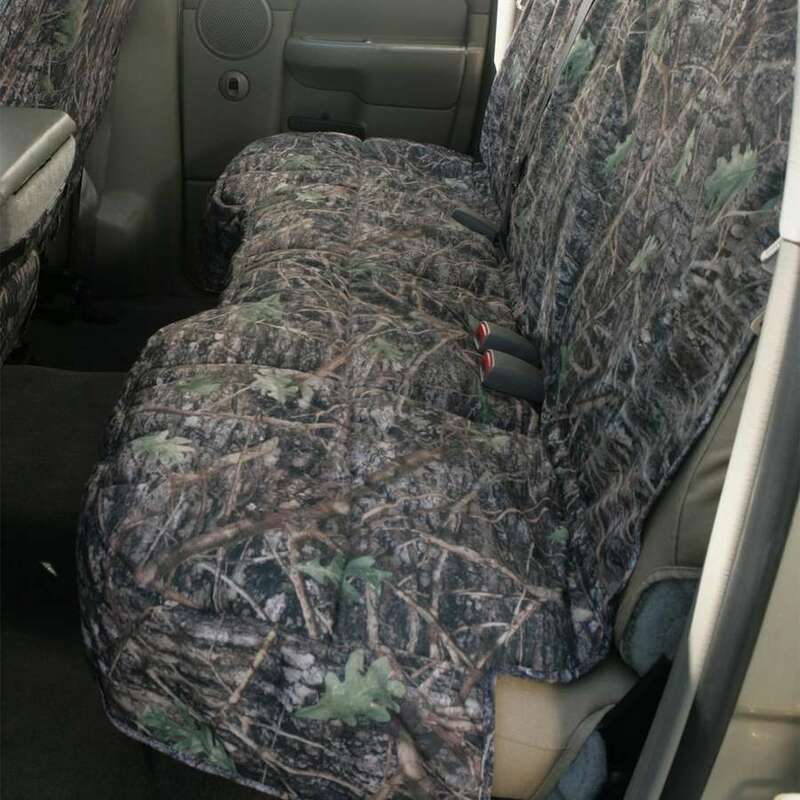 Use together with Rear Seat Coveralls which are sold separately. Perfectly tailored to fit the rear seat of your car, SUV or pickup. 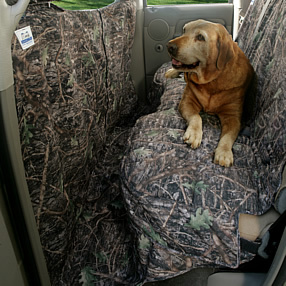 Canine Covers Custom Rear Seat Protectors follow the seat contours and, if the original seat is designed with a split seatback, that feature will be incorporated into the custom pattern with a hook and loop closure seam. Seat belt openings are in the original location to allow use of a canine travel restraint or easy use by two-legged passengers when the need arises. 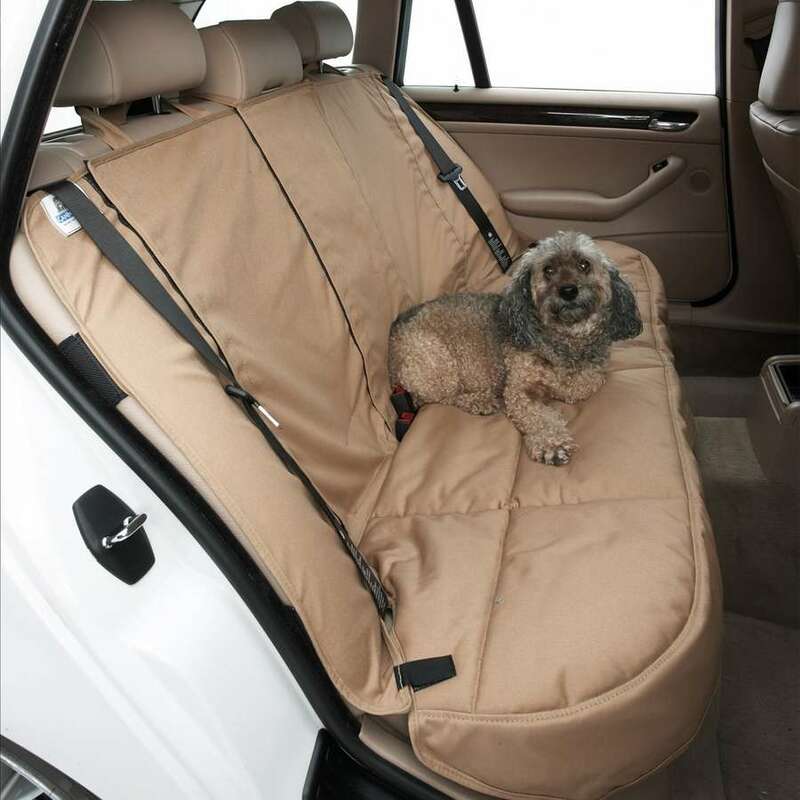 Our best rear seat protector for fit and comfort for your dog. Perfectly tailored to fit the rear seat of your car, SUV or pickup. 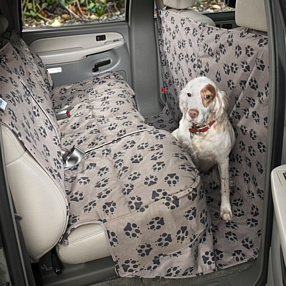 Canine Covers Custom Rear Seat Protectors follow the seat contours and, if the original seat is designed with a split seatback, that feature will be incorporated into the custom pattern with a hook and loop closure seam. Seat belt openings are in the original location to allow use of a canine travel restraint or easy use by two-legged passengers when the need arises. 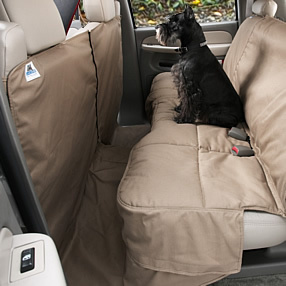 Our best rear seat protector for fit and comfort for your dog.